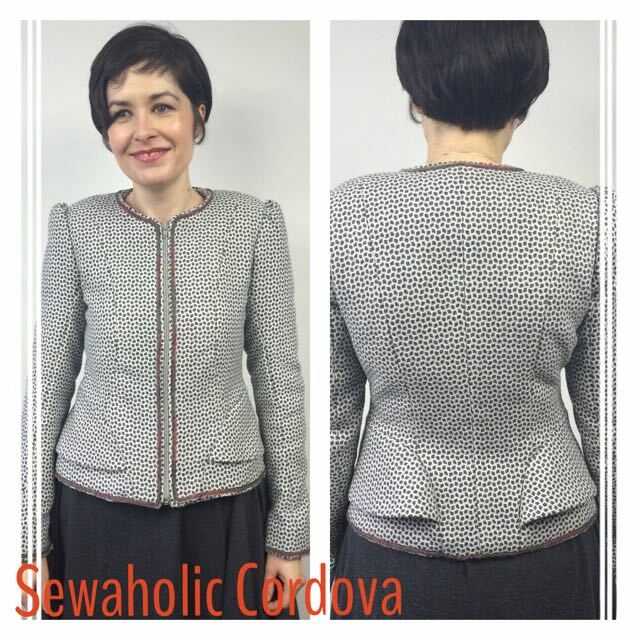 Today I’m sharing my version of the Cordova Jacket from Sewaholic Patterns– love the double peplum on this pattern. I made this as part of the Jacket Course with the fabulous Cassandra at The Stitchery in Glasgow. I also converted the one piece sleeve into a two piece and added a vent. The fit on the back of the jacket was really good. 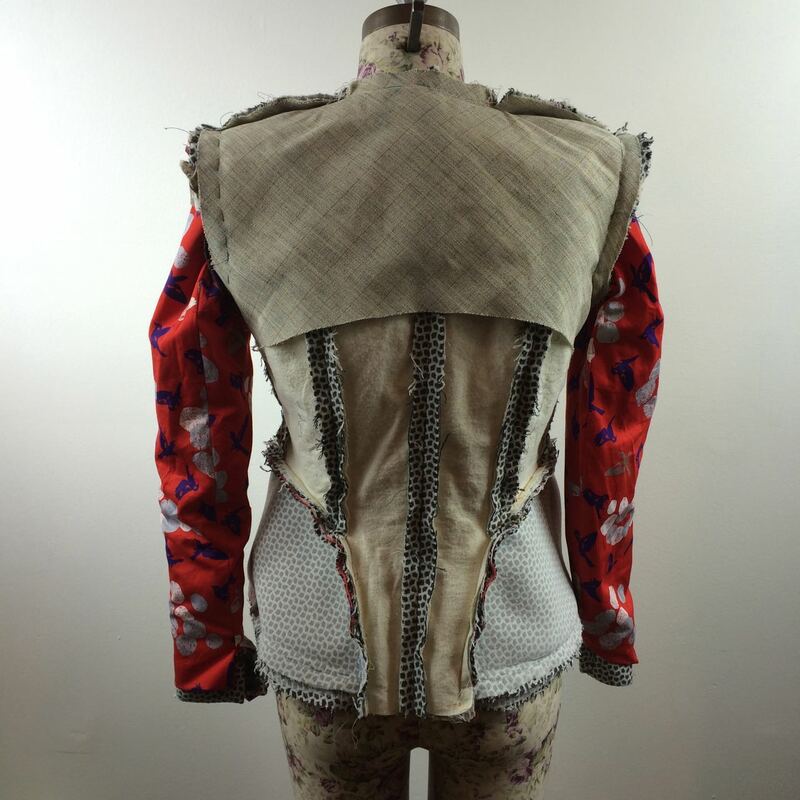 The front was still a bit big after I’d moved the princess seams but I left the excess fabric on the toile because I could easily adjust the seams on the final garment. This is a really easy pattern to follow and make-up; the instructions are great. 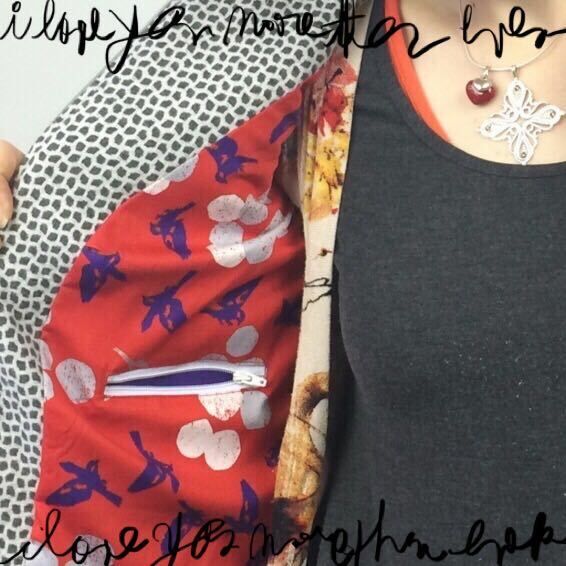 I ended up choosing a wool and polyester blend from John Lewis for the main jacket body and a very gorgeous Kokka cotton bought on a trip to Japan for the lining. I bought the lining fabric first because I loved it so much then had to find a jacket fabric that would match it which is a bit back to front but it worked beautifully in this case. 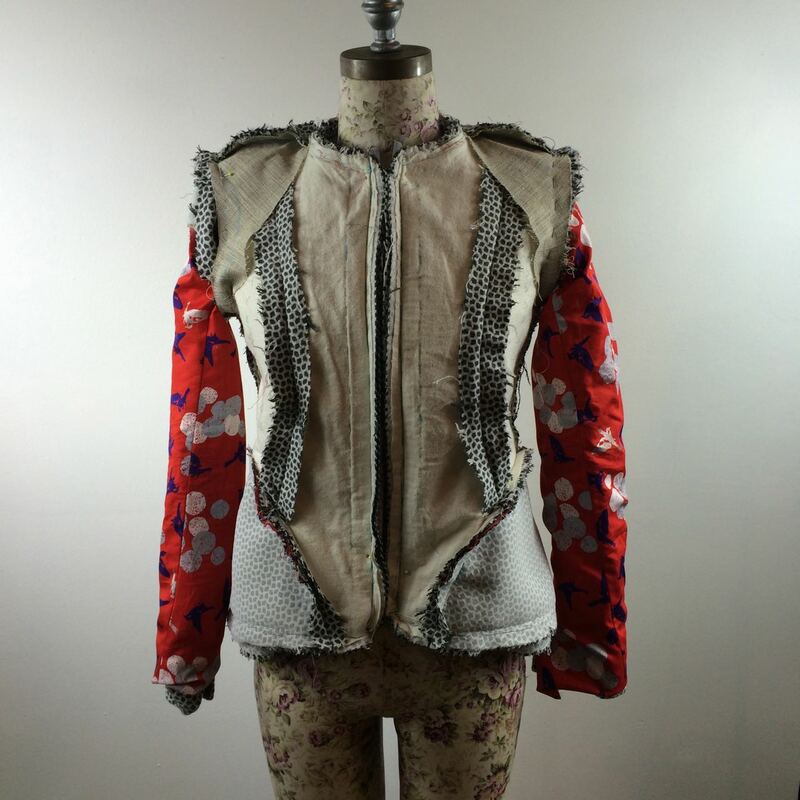 This added a lot of extra structure to the jacket and I really liked the way it looked and felt to wear with all of these additions. I also ended up nipping in the princess seams, lifting the shoulders a bit more and taking about an inch out of the sleeves on the final version to get the fit the way I wanted it. 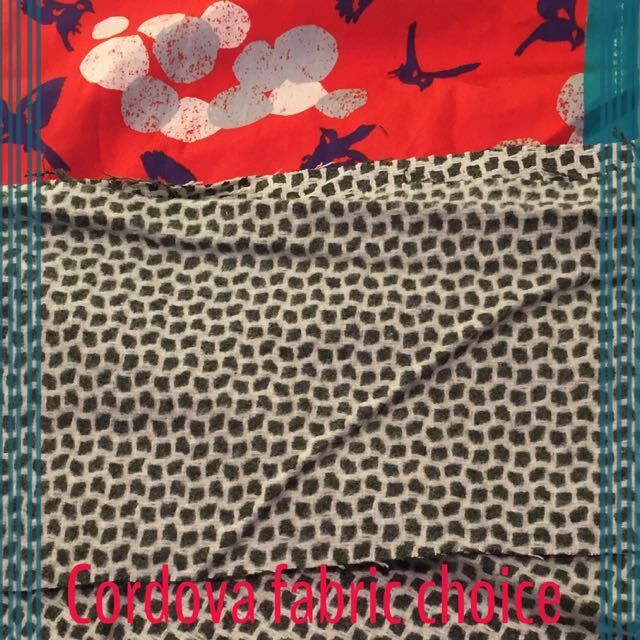 The Cordova Jacket pattern doesn’t have any pockets; there isn’t really anywhere to put them on the outside because of the jacket’s structure. I really like to have at least one pocket though- so useful for wee bits and pieces. I solved the problem with the addition of a small zipped welt pocket on the inside. 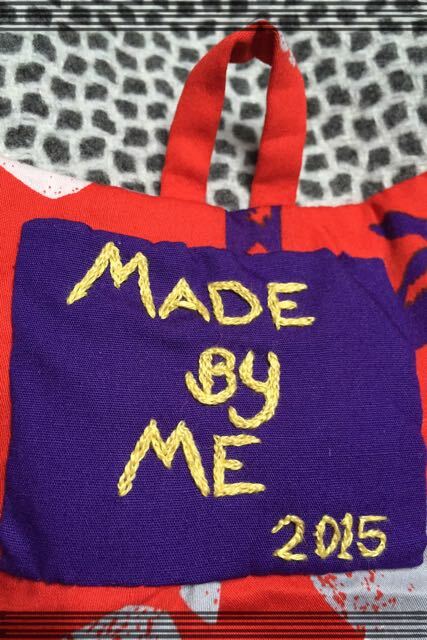 The stitching is a little bit wonky but I’m just going to have to live with it. I love the peep of purple pocket lining. 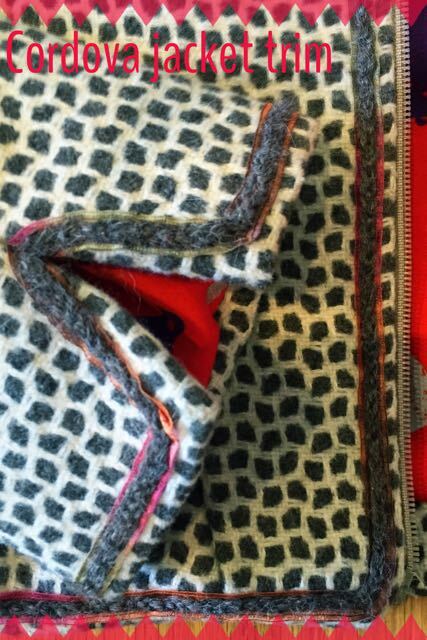 The jacket lining went in without any issues, even with all the extra layers it had to cover. The trim on the cuffs and edge of the jacket is made from a silk tape yarn my mum gave me ages ago for Christmas. It’s so lovely that I’ve never used it, or more accurately, I’ve never found a project worthy of its loveliness! I then added a long band of single crochet in Rowan Lima (893) left over from a hat I made. I pressed it well to remove pretty much all the stretch. I really like the little pop of colour the trim gives to the jacket. I love this jacket! 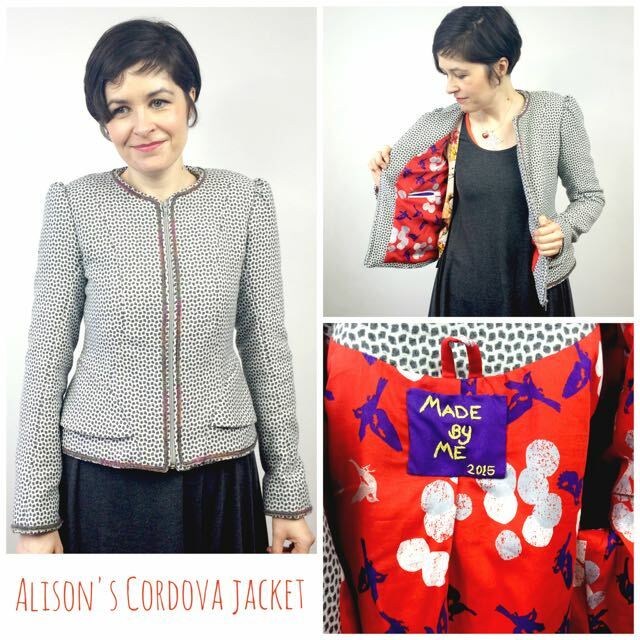 It will get a lot of wear in the cold winter months- all those extra layers and structure make it toasty and warm to wear…and it’s great to be able to say ‘I made this’!